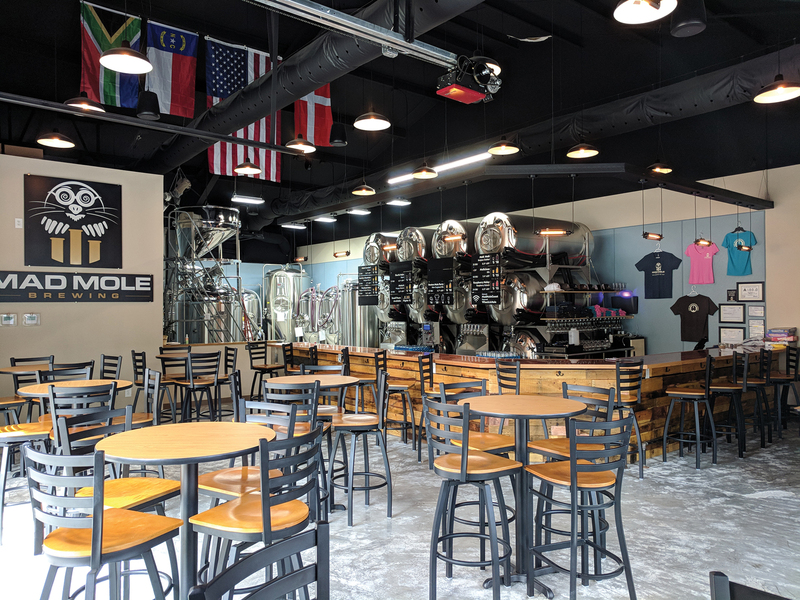 Mad Mole Brewing is Wilmington’s first solar powered brewery! Spun off from a local software company, Mad Mole combines technology and art to brew better beer. Take a tour to see what happens when computer programmers build a brewery. The first thing you notice when you walk in is the rack of large Mueller serving tanks shipped from Holland. Taps are mounted directly to the tanks for the freshest beer possible. Attached thermometers confirm it will be cold. The tasting room is cozy and literally makes you feel like you are part of the brewing process. A large, glass garage door opens to a beer garden making for a great inside-outside atmosphere. Dogs are welcome. Conveniently located off Oleander Drive near Bradley Creek, this is the perfect place to pick up beer “brewed by the sun” when you are on the way to the beach.